It is sometimes easy to forget, among the bad news that surrounds French multinational utility giant Veolia Environnement (VE), that its UK waste operation - which has the highest profile of its UK subsidiaries - is not doing at all badly. In March, VE reported a group net loss of around £410m for 2011, but the red numbers disguised 6.7% revenue increase to £1.38bn for Veolia Environmental Services UK (VES). When I ask Jean-Dominique Mallet, chief executive, about a drop in revenue of 8.4% in the first quarter of this year, he is quick to point out that the company has grown by around 6% a year for the past five years. But he admits that VES has been affected by falling commodity and recycled material prices and declining waste volumes caused by the global economic crisis. “The waste industry in the UK today is suffering from a reduction in waste which I think is linked to the recession. Volumes of waste are going down. I think we are very resilient to this as we have long-term contracts and our volumes are not going down too much,” he says. Mallet speaks with steadfast optimism about the future of his company and industry. “We must avoid entrenched positions”, he says on possibly the most entrenched debate in the industry: commingling versus source segregation. “At the end of the day, the importance is on the amount being recycled,” he says, maintaining that commingling does not put a brake on recycle rates. While he understands the positions of those reprocessors who want only separate collections, or at least commingled only in exceptional circumstances, he questions the motives of some of the supporters of the ongoing judicial review. He adds that the focus should be on the need to improve recycling, which means “coming up with products which are purchased by the market”. Then commingling would certainly be a valid method of collection. And what of those reprocessors who say, in that situation, that they are being held to ransom by a market that will not produce material of the quality they want? Mallet joined Veolia with a background in civil engineering and infrastructure, and now sits on the infrastructure board of the Confederation of British Industry. But, unlike many in the sector, he is not worried that the National Planning Policy Framework announced in May did not mention waste. Discussing the future of public-private partnerships in waste infrastructure finance, Mallet’s optimism again shines through. The money markets and the Green Investment Bank will help to find financing solutions for building waste infrastructure, but Mallet is not overly concerned about the demise of PFI. “At the end of the day, PFI has never been financing the construction. It’s never been a funding issue. PFI is a way of facilitating local authorities’ reimbursement within a defined framework,” he says. In March MRW revealed that Defra was scrutinising a £26m contract between Sheffield City Council and Veolia in order to look for savings and to inform Government thinking. Mallet says Veolia welcomes the initiative. “We have already invested a not insignificant amount of money. We have taken all the risk in construction. If people want to review the cost of the project, fine. But we will have to review, also, the scope of the project,” he says. Mallet slaps the table hard for emphasis: “It’s not that suddenly we’ve invested all the money and said, ‘well, we’re going to reduce your revenues when the capital is already invested with all the risk it took’. Nobody was questioning us when we had to invest more than originally planned. Transparency, openness, public image and engagement are key to Mallet’s optimistic vision of the industry’s future. Summing up, he tells MRW: “I see a bright future for the waste industry in terms of image, recognition and attracting more graduates, through sustainable development and the impact we have on communities and the priority we give to learning. Mallet began his career in banking at Continental Illinois Bank in Chicago and BAII Bank in Paris before joining construction firm Compagnie Générale des Eaux. He has been chief executive at VES since 2007, having been at the Veolia Environnement group since 1990 and in the waste management arm of the company since 1995. He has chaired the Environmental Services Association since November 2011. Mallet is also executive vice-president of Veolia Propreté and heads VES operations in northern Europe and Australia. 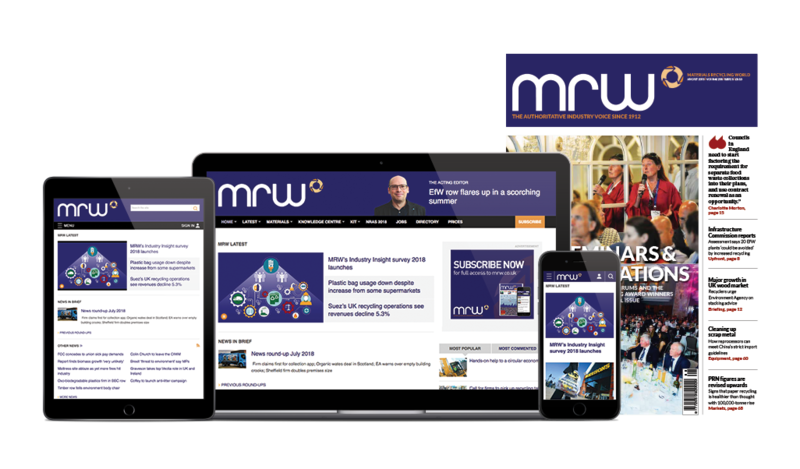 A guide on how councils can squeeze savings out of their waste contracts is to be published this autumn, as emails obtained by MRW about a similar pilot exercise reveal problems in “finding a joint direction”.